Lonely Planet’s Pocket Philadelphia is your passport to the most relevant, up-to-date advice on what to see and skip, and what hidden discoveries await you. Peruse masterpieces at the Philadelphia Museum of Art, discover ingenious inventions at the Benjamin Franklin Museum and find the perfect cheesesteak – all with your trusted travel companion. Get to the heart of Philadelphia and begin your journey now! 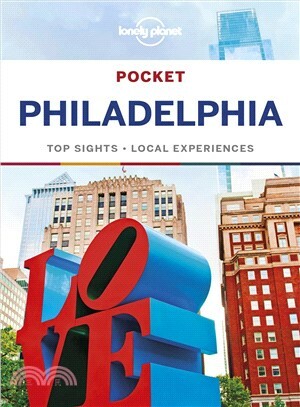 The Perfect Choice: Lonely Planet’s Pocket Philadelphia is our colorful, easy to use, handy guide that literally fits in your pocket, providing on-the-go assistance for those seeking the best sights and experiences on a short visit or weekend break. Looking for more extensive coverage? Check out Lonely Planet’s USA guide for a comprehensive look at all the country has to offer.